Decorative Lighting Fixtures | Vintage Lamps | Antique Lamps And More! It is said that decorative lighting fixtures are brilliant addition to the furnishings of your home or office. 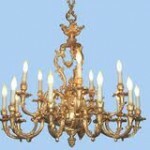 Besides providing the required brightness to its position, it also enhances a room’s actual beauty and sophistication. They help add warmth to your room and in some case soften shadows and create balance in the room. They can be smartly placed in any room requiring additional lighting. These lighting fixtures create personal circles of light for doing tasks such as writing or reading. There are many varieties of decorative lighting fixtures, and they may range from antique, to classic, to designer. Antique lighting fixtures include table lamps, floor lamps, crystal chandeliers, multi-arm chandeliers, and inverted dome chandeliers, lanterns, pendants, and flush mounted ceiling fixtures. These fixtures may be made from ceramic, wood; glass, brass, or other metals and they usually adhere to a design typical of the period that they came from. Classic light fixtures on the other hand include styles and finishes that withstand the test of time therefore they are considered as timeless, with universal appeal, and cater to every taste and budget. Designer decorative lighting fixtures meanwhile carry the signature of its designer and are prized for their value as well as popularity. Decorative lighting fixtures can also change a room to replicate a period or adored era of history from colonial years to the glamor of the Art Deco period. There is a wide variety of antique and vintage lamps including very popular styles like Victorian and slag glass. A popular choice among decorators comes from top names like Tiffany, Handel, and Aladdin. Their values vary significantly as well as their reproductions. These vintage lighting fixtures will naturally be more expensive than replicas, but they are expected to hold their value if they are maintained in superb condition. Starting with the entirely functional to the ornamental fanciful, there are various styles to consider, and adding vintage or classic light fixtures to your home bring the dramatic saga of long-gone eras into the room each time they are lit. 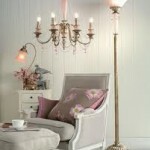 When looking for vintage lighting fixtures, it is very significant to think of an era that matches your home’s style. It is important to make certain that you do not only obtain a safe lighting fixture and install it correctly but you also need to address the suitability of decorative lighting fixtures to the style of your house. You don’t want your lamps and lighting fixtures to shed a bad light to your home’s style. In planning a renovation or trade off of vintage lighting fixtures, you need to employ experts if you can find them such as a local historical association. You will be surprised to learn a few historical tidbits about your house or its style that you were previously unaware of. Other means would be making contact with folks who own homes of the same era as yours as they might share with you details like important people or contact with local craftsmen or establishments that proved to be valuable when they restored their own homes. Using these methods would ensure that you will obtain the right fixture and affix them correctly in your home. Throughout this site will will find information on all types of vintage lamps, classic light fixtures, antique lighting fixtures, designer lighting fixtures and many other decorative lighting fixtures and hopefully you will find it useful for when you are seeking to purchase that special lighting fixture to accent the decor of a special room within your home.